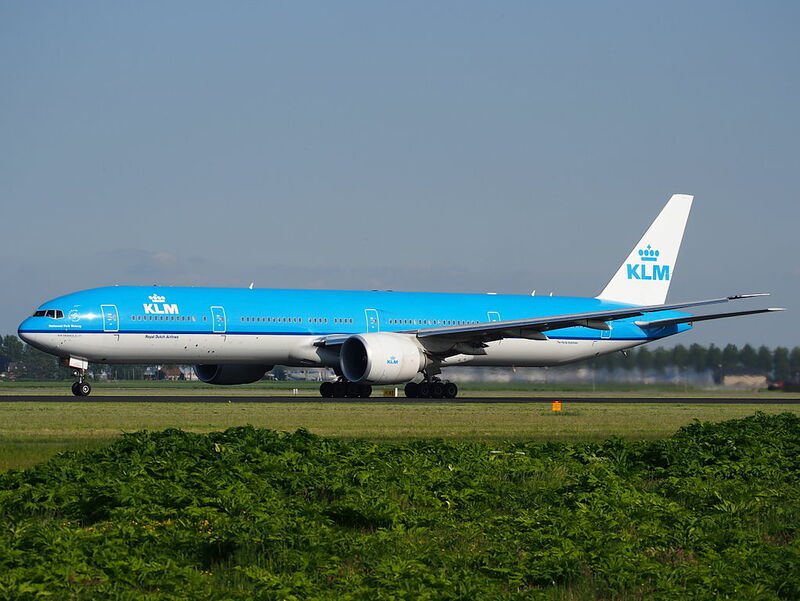 KLM Fleet Boeing 777-300ER Details and Pictures. 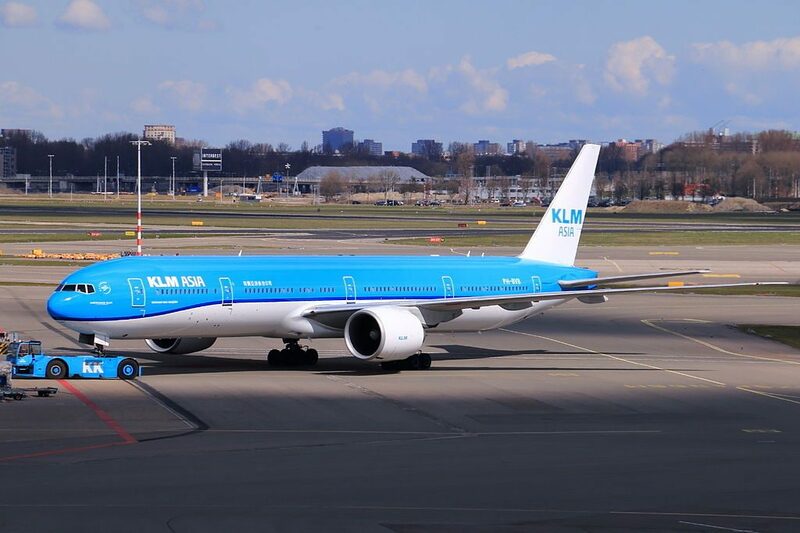 KLM Royal Dutch Airlines operated 14 wide-body extended range aircraft Boeing 777-300ER. 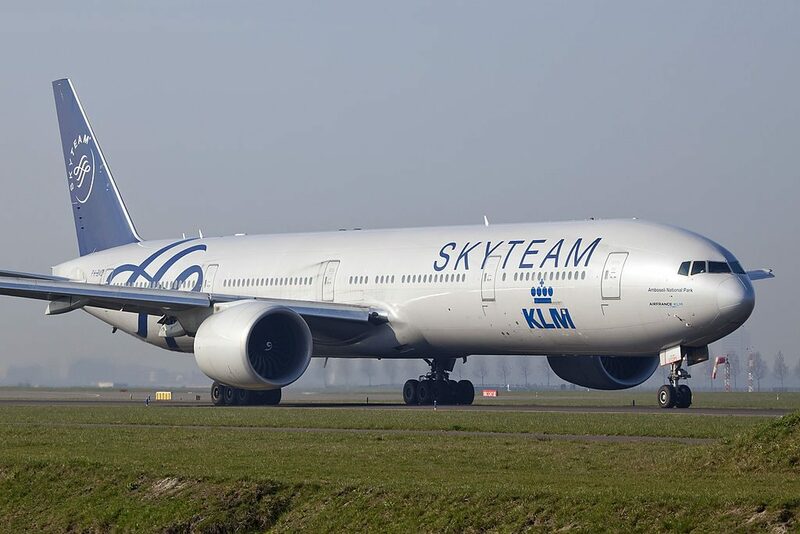 For airlines that want to win on the world stage and grow now, the 777 family (777-200, 777-200ER, 777-200LR, 777-300, 777-300ER) offers flagship status and more growth potential than the competition, providing a clear path to a successful future. 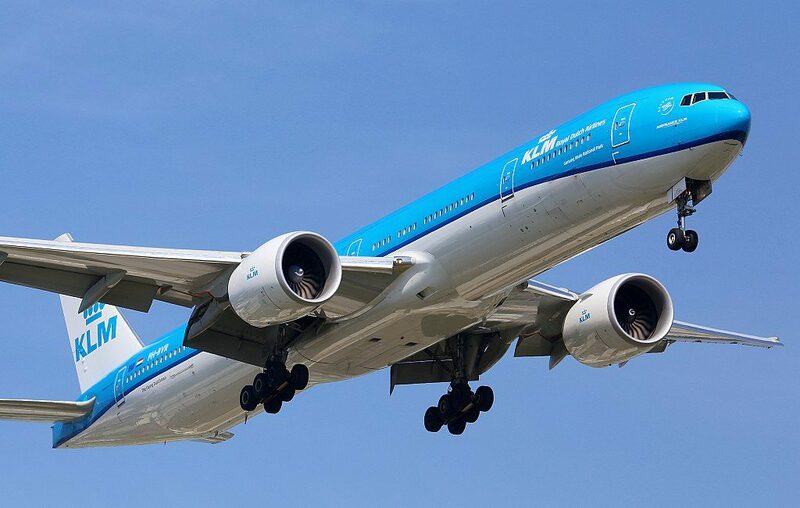 The performance and economics of the 777-300ER are unbeaten, and its range, capability and efficiency help operators maximize profits. 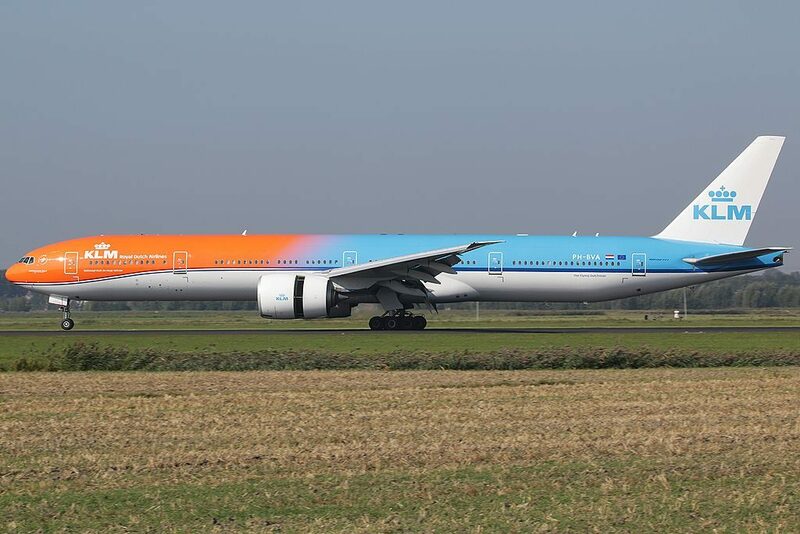 That’ s why the 777 is the most popular and commercially successful twin aisle aircraft of all time. 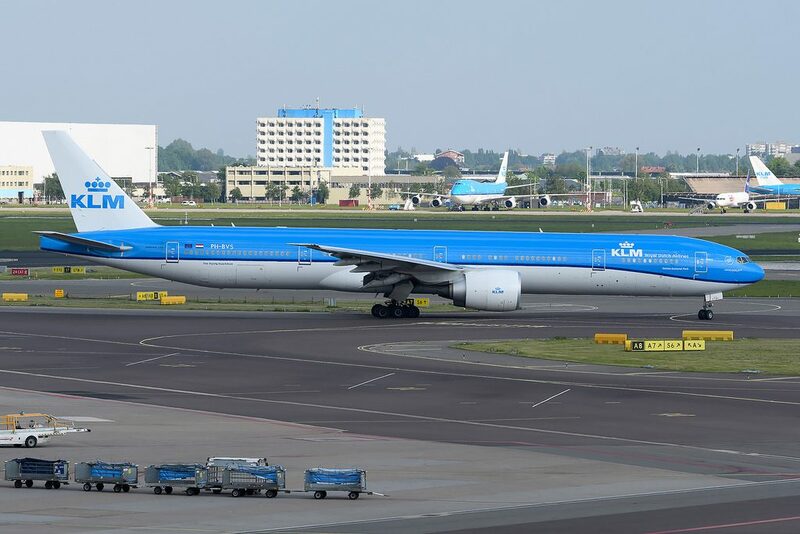 KLM Royal Dutch Airlines Boeing 777-300ER features a three class configuration with 34 flat bed World Business seats, 40 Economy Comfort seats, and 334 standard Economy Class seats. 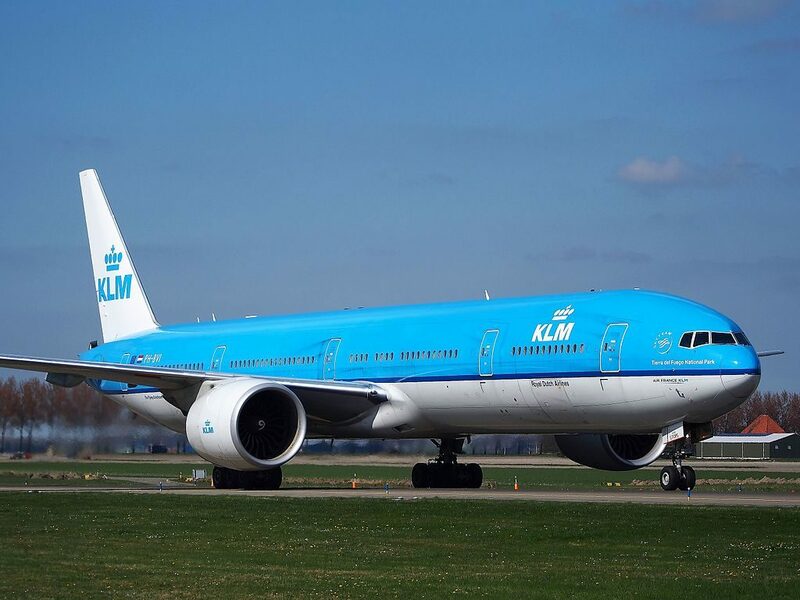 This version of Boeing 777-300ER operated by KLM may accommodate 408 passengers: 34 in business class, 40 in economy comfort and 334 in the economy class. Business class seats offer flat bed seats that have 180 degree recline and are located in two sections: firs section consists of 5 rows of seats: 4 rows have 2-2-2 configuration and 1 row has 2-2 configuration. 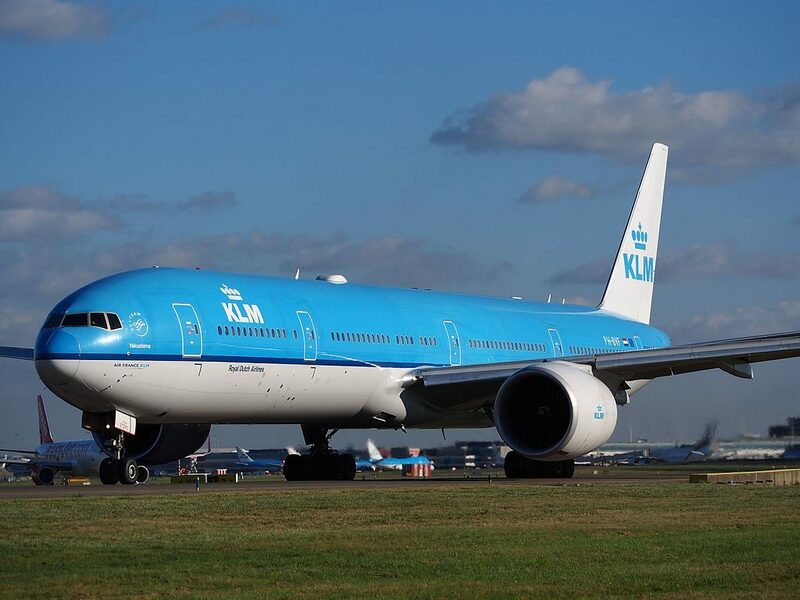 Close location of the galleys and lavatory may cause discomfort to passengers of the seats of the 1st and 5th row. 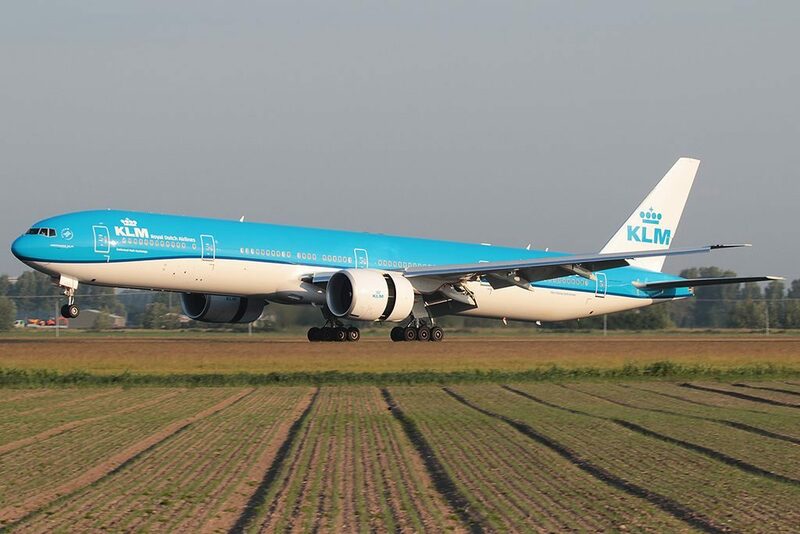 Lack of floor storage during take-off and landing is one more disadvantage of the seats of the 1st row. The second section of business class seats has only 1 row that contains 6 seats. These seats, the seats of the 6th row have the same disadvantage – proximity of the galleys and lavatory. Economy comfort consists of 4 rows of seats that have 3-4-3 configuration. 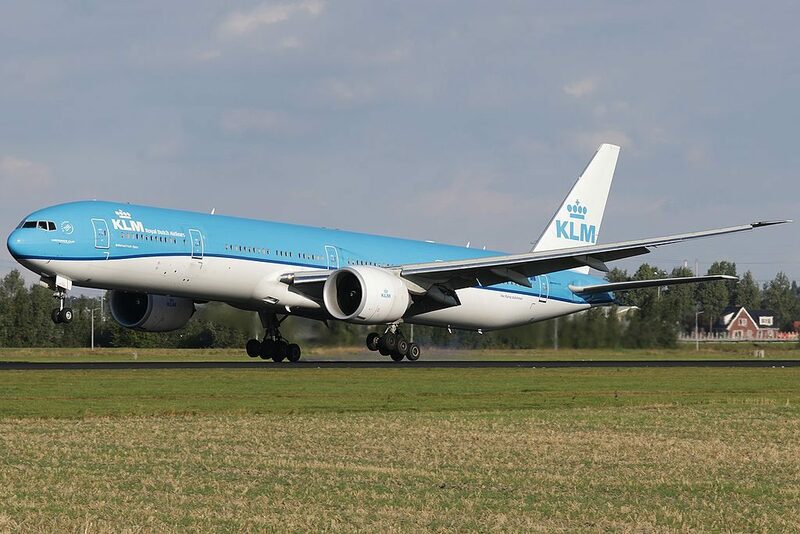 The seats of the 10th row are a little narrower than standard and have no floor storage during take-off and landing. 334 seats of the economy class are divided into three sections. Most of the economy class seats have 3-4-3 configuration. First section includes 8 rows of seats. 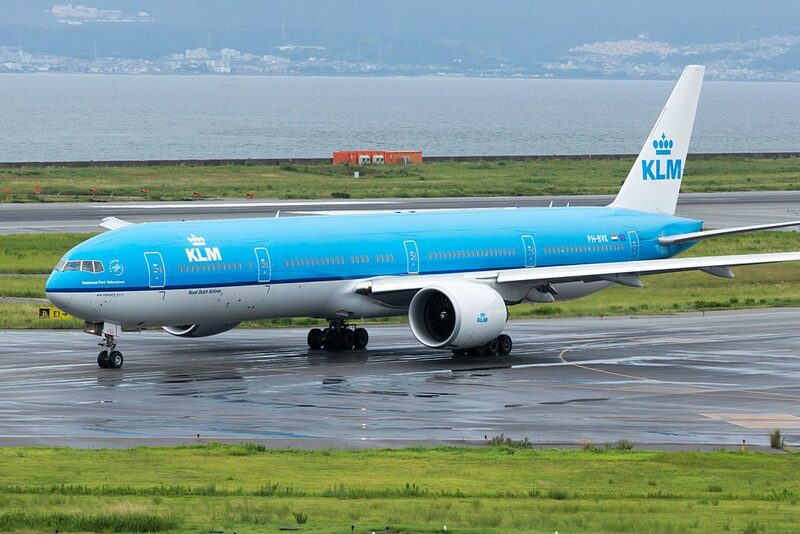 Location of the lavatories behind will cause discomfort to passengers of the seats 20G, 20HJK, 21DEFG and 22ABC. Second section with 14 rows of seats is located behind the exit row. Passengers tend to congregate in the area of the seats 30ABC and 30HJK while waiting to visit lavatories causing discomfort to passengers of these seats. Passengers of the seats 30BC and 30HJ will feel comfortable thanks to additional space for their legs. The legroom of the seats 30A and 30K on the contrary is limited by exit doors. 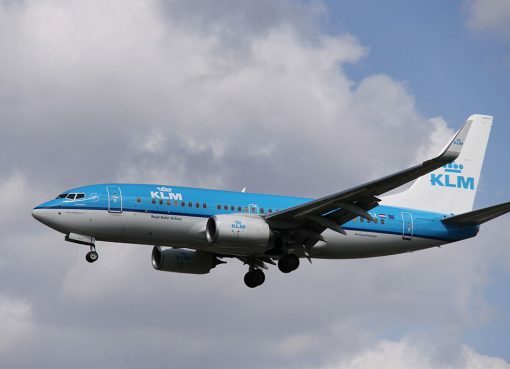 Among other disadvantages of the seats of the 30th row: reduced width and no floor storage during take-off and landing. Because of the bulkhead position the seats 30DEFG have limited legroom. Also as the tray tables are in the armrests the width of these seats is reduced. Lack of floor storage during take-off and landing is another disadvantage of these seats. 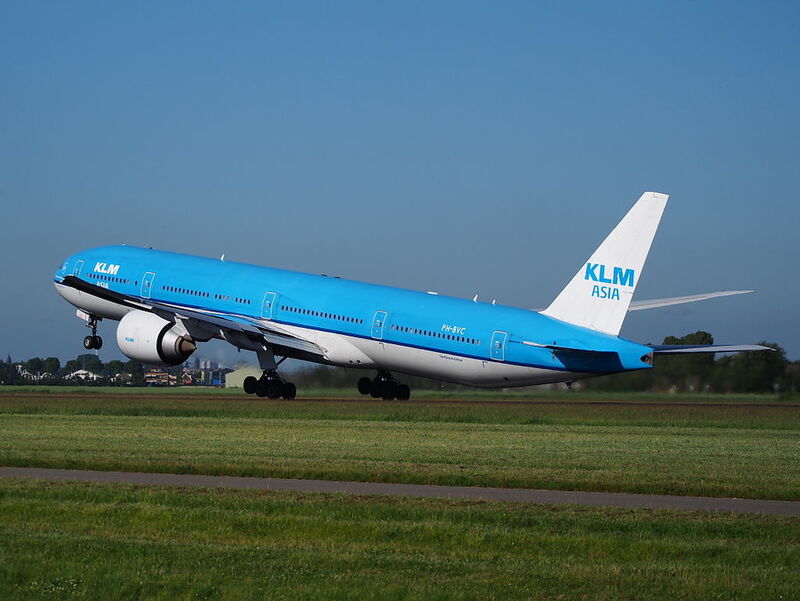 The noise from the galleys and lavatories will cause inconvenience to passengers of the seats of the 43rd row. The third section of economy class seats is located behind another exit row. 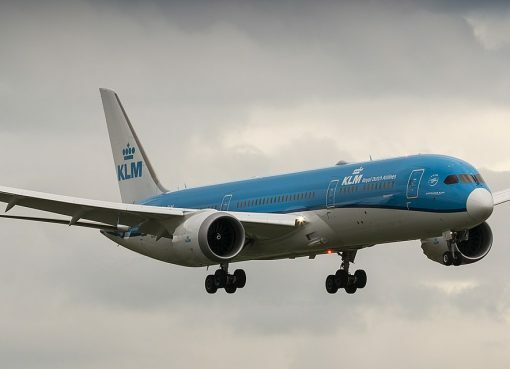 The main disadvantages of the seats of the 50th row are: close location of the galleys and lavatories, reduced width and lack of floor storage during take-off and landing. 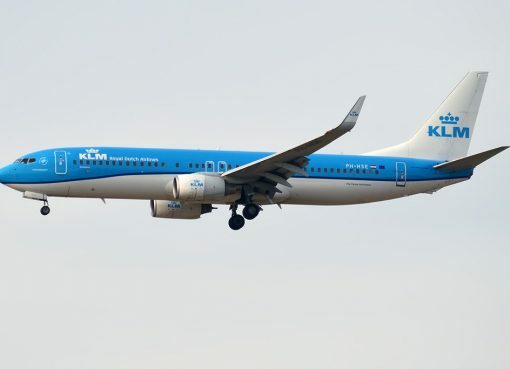 Also, the seats 50A and 50K have limited space for passengers legs due to protrusion of the exit doors. Exit row located in front provides extra legroom for passengers of the seats 50BC and 50HJ. Due to position of the bulkhead the seats 52DEFG have limited legroom. 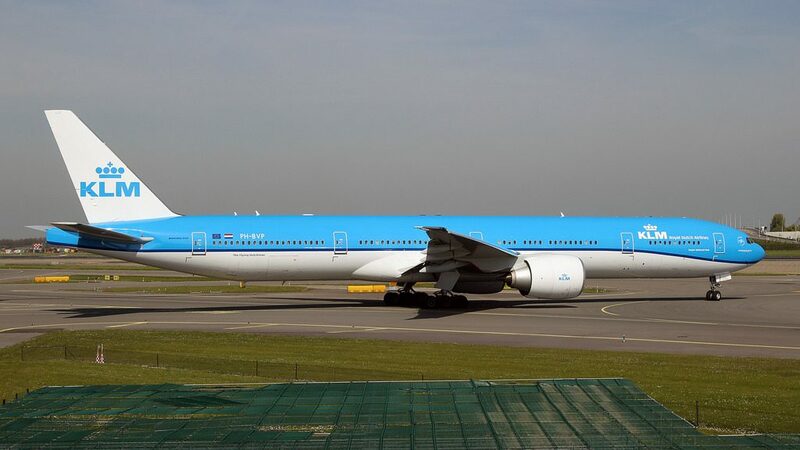 Location of the galley in front, tray tables built-in the armrests that reduce the seat width and lack of floor storage during take-off and landing are the main disadvantages of these seats. 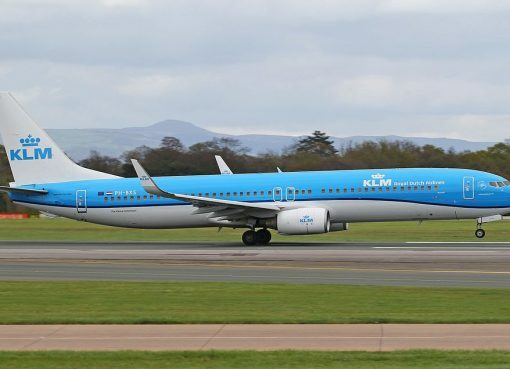 Due to missing seats behind the seats 52D and 62H are often bumped by other passengers passing by. Another disadvantage of the seat 62H is location of the galleys behind. Location of the galleys and lavatory behind is the main disadvantage of the seats 62ABC and of the last 63rd row. AC Power. All seats are equipped with AC power ports. 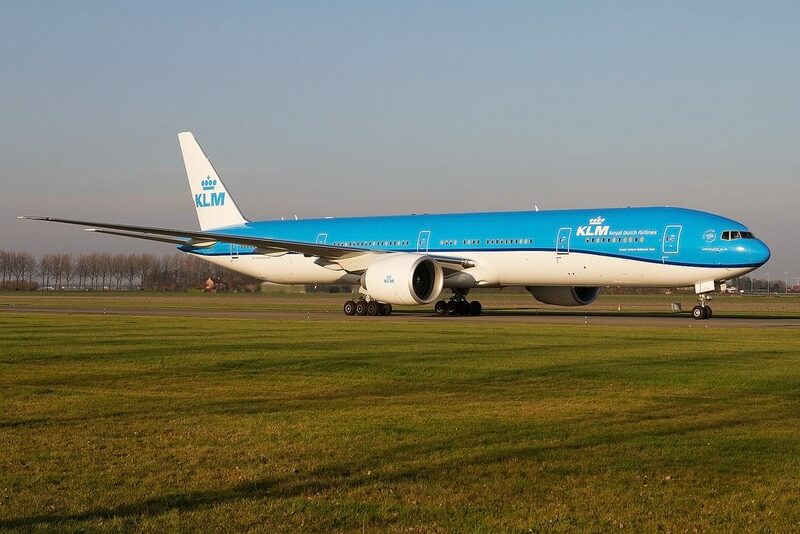 Thanks to visiting AirlinesFleet.com and read article : KLM Fleet Boeing 777-300ER Details and Pictures.